(a) Remove the No. 2 engine under cover and front fender apron LH. 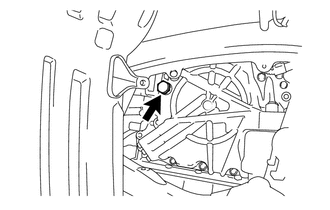 (b) Using a 6 mm socket hexagon wrench, remove the overflow plug and gasket from the automatic transaxle. 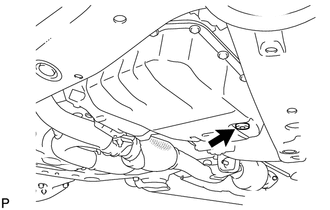 (c) Remove the refill plug and gasket from the automatic transaxle. (d) Using a 6 mm socket hexagon wrench, remove the No. 1 transmission oil filler tube from the automatic transaxle. 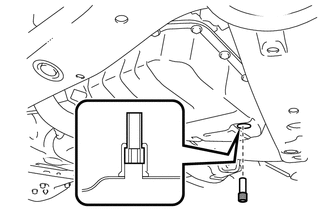 (e) Drain automatic transaxle fluid from the automatic transaxle. (f) Using a 6 mm socket hexagon wrench, install the No. 1 transmission oil filler tube to the automatic transaxle. (g) Using a 6 mm socket hexagon wrench, install a new gasket and the overflow plug to the automatic transaxle. 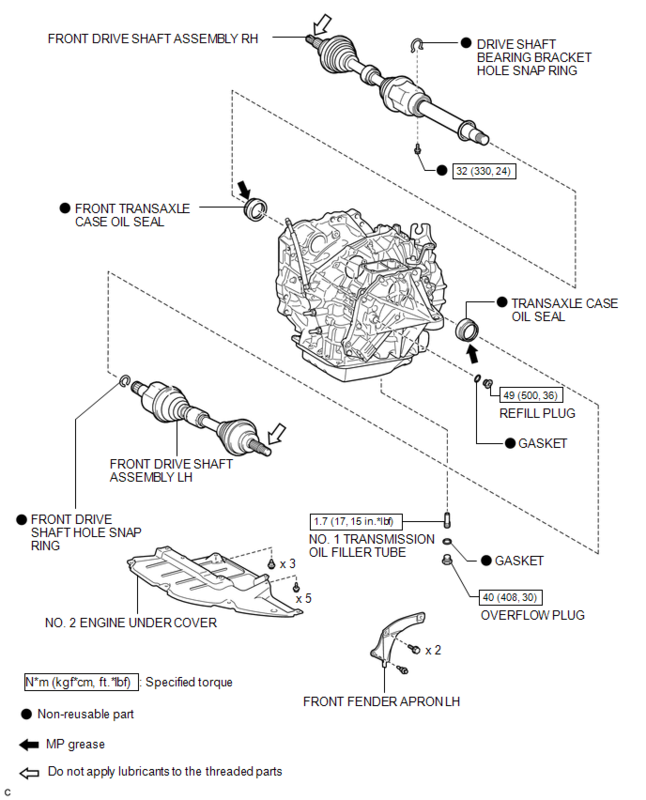 (h) Install a new gasket and the refill plug to the automatic transaxle. 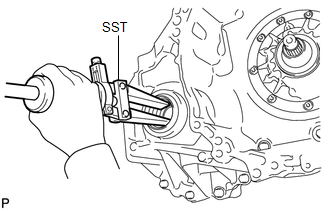 (a) Using SST, tap out the transaxle case oil seal. 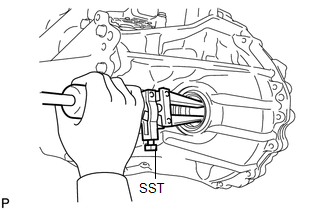 (a) Using SST, tap out the front transaxle case oil seal. 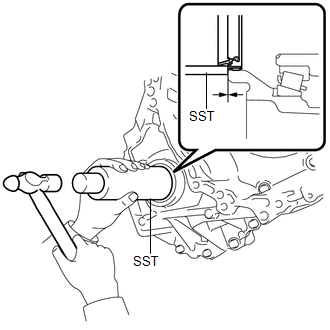 (a) Using SST and a hammer, tap in a new transaxle case oil seal. 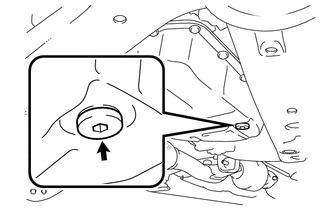 Check that the oil seal is installed in the correct direction. (b) Coat the lip of the transaxle case oil seal with MP grease. 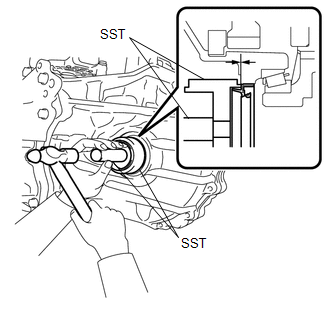 (a) Using SST and a hammer, tap in a new front transaxle case oil seal. (b) Coat the lip of the front transaxle case oil seal with MP grease.